Well, our new weather station provides a short forecast – the usual kind of stuff – but today, apparently, the weather is “Changeable, mending”. And I didn’t even know it was broken! 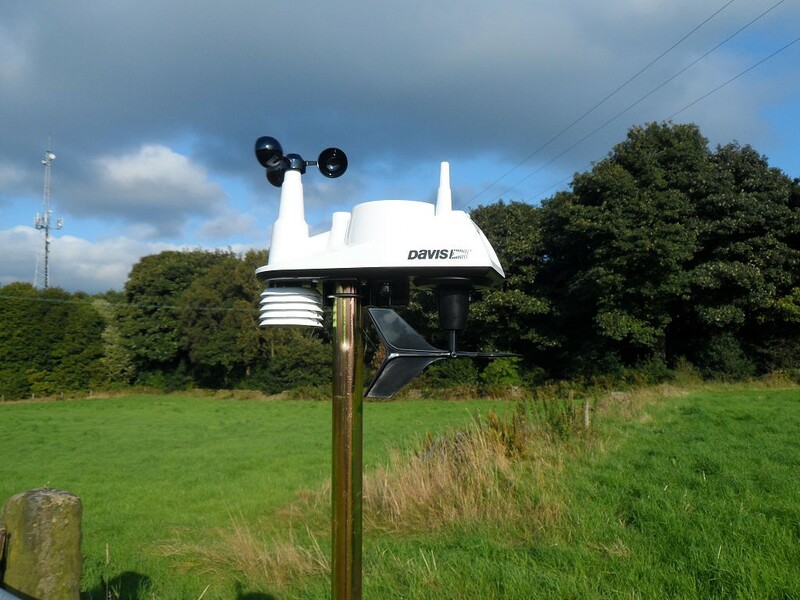 I have eventually managed to get our new weather station online this weekend. To be fair, installing the new weather station was a breeze! 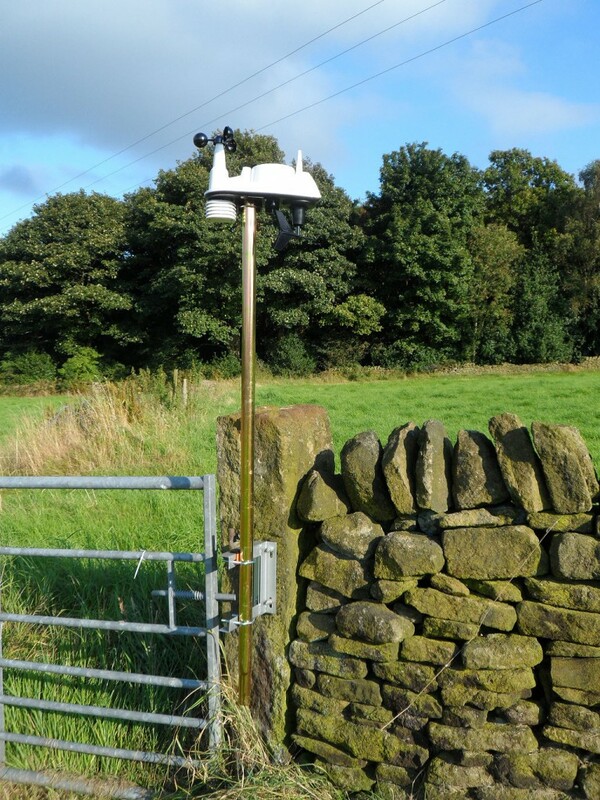 It is a set up in terms of quality from the previous weather stations that we have had. Unfortunately, it was a step up in price too! It was made even more expensive since I bought two consoles – one for connection to the computer that uploads the data and one for general use inside the house. The weather station is a Davis Vantage Vue and is aimed at the semi-professional and educational markets. 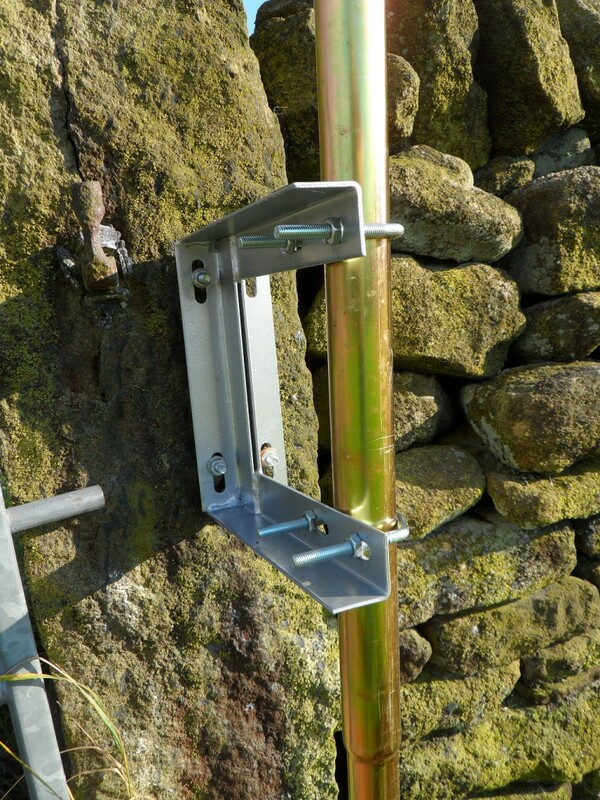 It is installed in the top field with the outdoor sensors being attached to a newly acquired TV aerial mast and standoff bracket from Screwfix. I have attached the mast to one of the large stone gate posts using some threaded bar sunk and glued into a set of holes. This means that the mast can be unbolted and relocated if necessary. At the moment, we are using just one section of pole even though it came with two sections in the pack. This is positioned about 75m from the house and works perfectly. The fact that all the sensors are in one unit makes it look a lot neater than some of the other products. I drilled some over-sized holes into this stone gate post. I then used anchor set to fix some threaded bar into the holes (actually, these were bolts with the heads cut off). I then used some nuts and washers to adjust the pole so that it was fixed in the upright position. Shame the camera wasn’t level! New weather station in position. It is probably about 6ft high as we are only using one section of the TV mast. The pole is raised off the ground so that we can strim underneath it. The main issue has been how to get the weather station to upload data to the Internet. The supplier that I used suggested that I needed to use the Davis Weatherlink software for this, but we are currently using the Cumulus software that can be freely downloaded from the Internet. It provides all the features that we need, plus it supports a wide variety of weather stations including our new one. What could have been simpler! Well, the Cumulus software wants to communicate with the Davis weather station via a serial port and the data logger dongle on the weather station is USB. So there are two tricks to get this to work…..
Firstly, you need to map a serial port on your computer to map onto the USB port. You are going to need some software to enable this, but the good news is that you can download this for free. I used the UART bridge software from Silicon Labs. You will find it here. 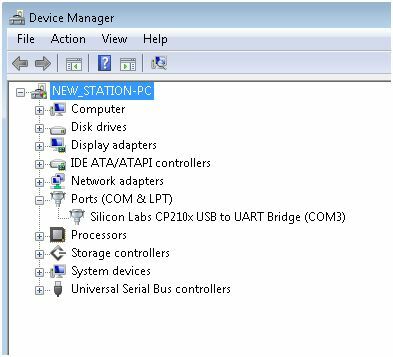 Download the correct version for your Operating System and then plug in the weather station via a USB port to activate the software (the COM port will not show up in Device Manager unless there is an active device connected to the COM port). Secondly, you need to configure the correct port on Cumulus. This is relatively straightforward, but confused me for a while. Once you have the software installed above, plug in your weather station and go to device manager on your computer. If you look at the ports in the list, it will show which port number is being used for the USB. It is probably either port 3 or 4. Now go to the configuration page in the Cumulus software and enter the port number in the appropriate field. You will need to save the configuration and then restart the software. Bingo! It should now work. With the software installed and the weather station attached, device manager is showing that one COM port is active. In this case, it is COM3. You need to select Serial in the Davis Type and then select the COM port number (in this case 4). If you don’t, you will get an error -32701 from Cumulus when it tries to initialize the weather station.